I'm in a middle of creating a new website where I would like to use custom fonts. I have already spent a day figuring out why Internet Explorer doesn't recognize this custom font and use 'Arial' (default) instead. What I have tried already: uninstall and downgrade back to IE8 (still no custom fonts), install again IE9 (no custom fonts), install all the windows updates (no luck), I went through all the settings but found nothing relevant. I'm stuck. I can't make it work and I dont want to reinstall the whole Windows. Press Alt-T to get the Tools menu. Choose Internet Options. 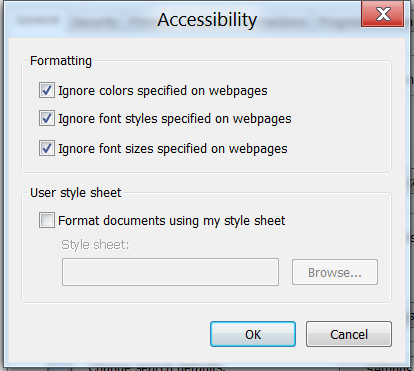 Choose Accessibility. Make sure no checkboxes are checked. In the second screenshot they are checked. This might cause the problem. Note: I am using Internet Explorer 10 here, maybe the menu is slightly different. Not the answer you're looking for? 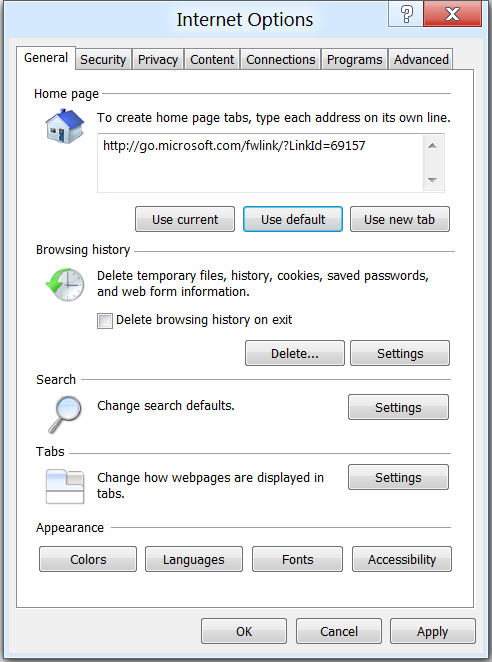 Browse other questions tagged windows-7 internet-explorer-9 true-type-fonts embedded-fonts or ask your own question. How to install Internet Explorer 9 on Windows 7 with IE11 installed? Will IE9 run on Windows 10?